I do not provide personal investment advice and I am not a qualified licensed investment advisor. All information found here is for entertainment or educational purposes only and should not be construed as personal investment advice. How to apply some basic risk management. I know this is all somehow explaining things in hindsight how you could have played this or that. But to be honest, the same structures occur over and over again therefore this can be applied to almost any rally. Be aware at all times when reading this, we don’t know where price wants to go. I’m trying to keep hindsight out of this as much as possible in order to reflect a real trading situation. Let’s dive into it shall we ? a.) Is it at support ? c.) Or in the middle of nowhere ? In order to establish a HTF picture of where price currently is we have to zoom out. For this excursion we’ll be using the D1 timeframe. It’s important to differentiate between important and less important structures and zones. You may ask why is the blue box more important than the two candles with the two X’s ? What does the X even stand for ? An X stands for stop loss orders the market gravitates towards to take them out and reverse at such points. Although the explanation there being stop loss orders waiting to be taken is somewhat unsatisfying and may not appear logical to some but this is what I’ve gathered why price wants to go to certain places like these. I’m sure there is a better explanation though which has not disclosed itself to me at this point. Anyway, the blue zone is the first area where we can define our Risk/Reward the best in my opinion. 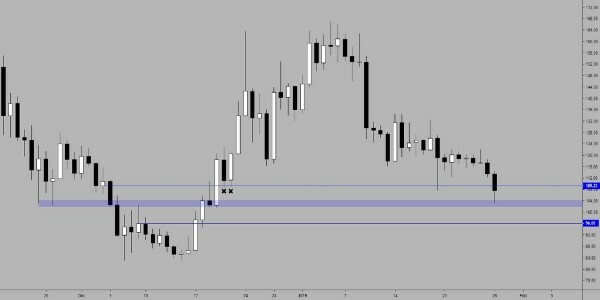 Where is the invalidation of this zone ? Right below the down candle before the massive upmove. Why is this zone important? 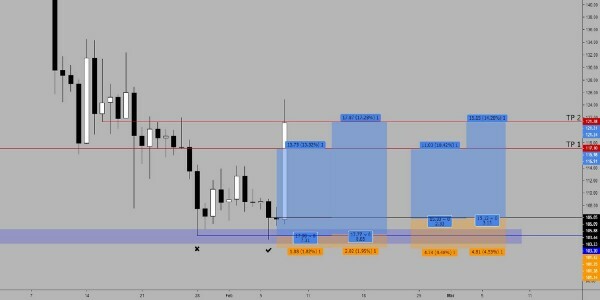 Not only is this is a bullish OB (Orderblock by ICT) but it’s also a S/R flip plus this is the place where previously the break of MS took place based on the daily timeframe. 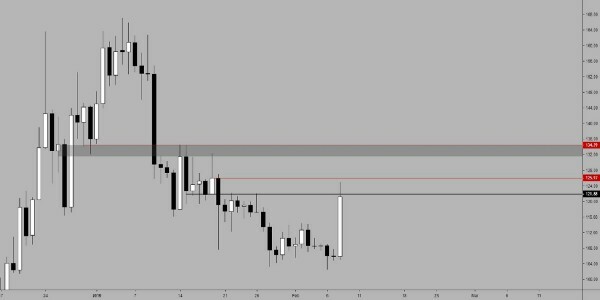 Now you can either punt a long here and anticipate this structure to hold when price reaches into it or you can wait for some sort of confirmation. You will never know if a level will hold or not but what you can do is probabilistically evaluate if it’s worth taking the risk or not hence calculating for yourself the risk/reward outcome and deciding upon this information if it’s worth taking the trade or not. What does confirmation look like ? (Swing Failure Pattern by Tom Dante) candle which takes out the swing low and closes above the swing low within the range. Where is our target ? Because we don’t know where price wants to go! 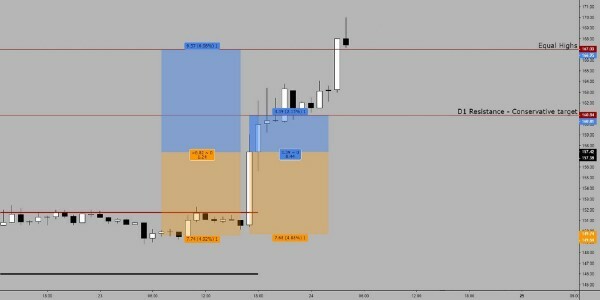 The first two targets are the daily S/R flip and the intermediate resistance level right afterwards. If you prefer catching wicks you can put a limit order in the demand zone. If you prefer waiting for some sort of confirmation you can enter a long position right after the daily close. Your stop loss goes both times below the blue zone. Depending on where you entered, your R/R may majorily differentiate though. Because if this blue zone fails to serve as support the probability is high price probably will go lower. 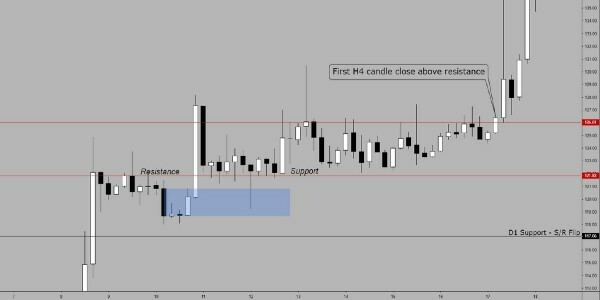 Another option could be going long after a H1/H4 candle close above an engulfing of recent resistance or where the break in market structure takes place. How does this look like on an intraday basis what other ways are there to enter a trade? As you can see the more price rallies away from support the more dire your R/R becomes. You must define your risk to reward ratio at all times before entering a trade and evaluate if it’s worth taking the setup or not. 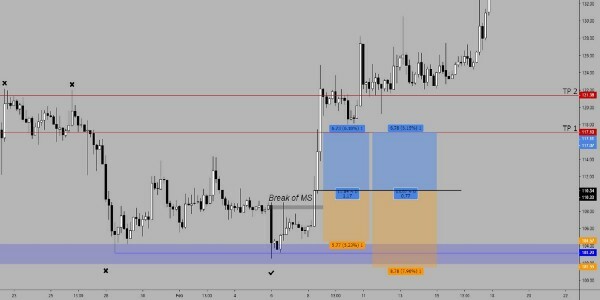 Clearly entering the trade after the break in MS with the same targets as in the above mentioned examples would have rendered you only a 1.5 R and respectively a ~2.4 R trade with a precarious and aggressive stop loss below the candle that broke market structure. 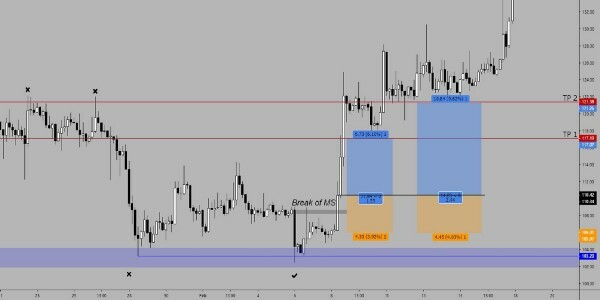 A more conservative SL placement would have been below the recent low or even below the blue zone and as you can see your risk to reward ratio goes to shite this way. It is evident in this scenario the longer you wait the more likely the setup is becoming obsolete. But I concur – do not FOMO into such rallies. I know it’s very tempting and the feeling of missing out thrives in such situations but always evaluate the situation with a clear mind and manage your risk first before feeling the urge getting involved. Our targets have been hit — now what? 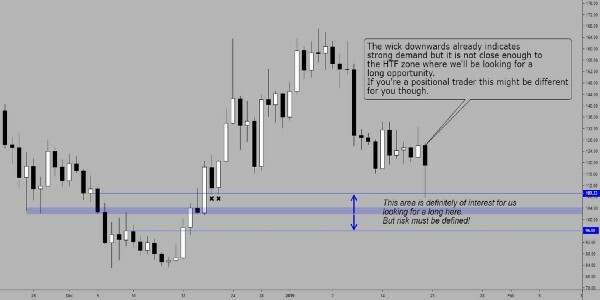 Nothing has changed, we’re still trading this level to level and yet again we have to establish a new HTF view of the ongoing situation. What do we have to look for in order to anticipate a continuation of the current trend? Consolidation below resistance after a breakout often leads to a continuation of the trend hence bullish. It’s sometimes difficult in strong trends to get on board because price either does little or no pullbacks and the trader is left with no option other than buying in at a higher price. 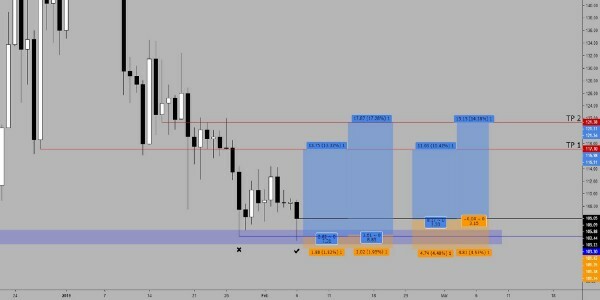 Where is the next HTF resistance level? Once price broke out what can we do? It’s always advisable to take profit and not give the hardly earned gains easily back to the market. Lock in what you have gained and let winners run. If you are anticipate price is going to go higher you can also compound and add to your current position on dips. It might be difficult sometimes to get back into the market due to its unforgiving nature not doing any kind of proper pullbacks. Meaning — Often people tend to close their positions too early. In strong trending markets you can move your SL up below the very recent swing lows and let the market continue to do its thing. If it does pull back your SL must be where you are wrong. What does this mean ? 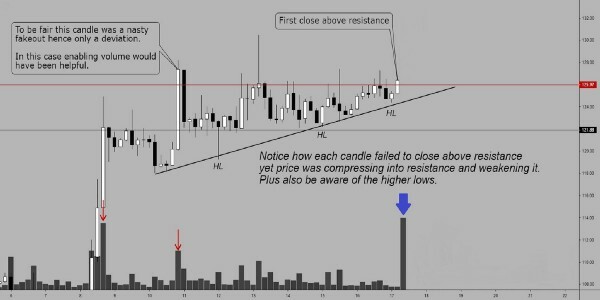 Put your SL where the market clearly has no business if your bias and analysis tell you price is eager to go higher. If you are somewhat convinced price is going for much higher targets you can add to your position on the dips and pullbacks. Your SL doesn’t change though. It must be where, in this case, your bullish bias is invalidated. Where is the next trouble area ? Once again we go to our HTF view of the market and evaluate where price most likely will have trouble going through and stall or reverse. 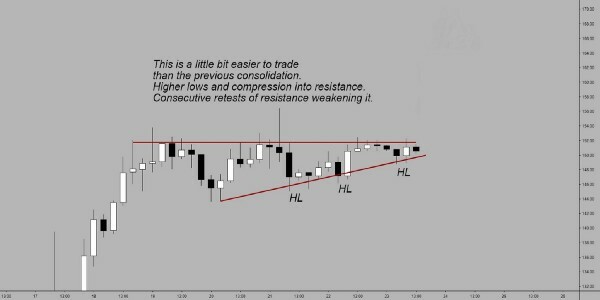 Price is consolidating below resistance — what can we do ? Once again we have to find a HTF structure that’ll serve as support. We can either anticipate this “support” level to hold or enter a position after confirmation. Price rallied and broke market structure yet fails to close above resistance for quite some time. In the example above price has flipped the previous intraday resistance level into support by engulfing it. In a live market it would have been quite difficult to tell if this was a proper breakout or not hence why I enabled volume at this point. 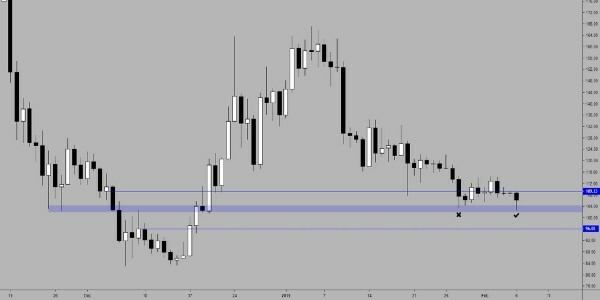 Based on our D1 view this level now should serve as support. But as it becomes later on more clear the market did not pull back properly to the recent S/R flip, a common behaviour of strongly trending markets. We now established an entry point and two possible resistance levels for taking profit. All you got to do is place your stop loss, pull the trigger and wait. Price hit both our first HTF target — now what? What if the market wants to trend higher ? 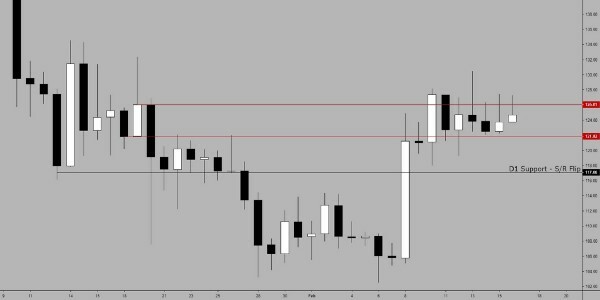 The market shows strong momentum at this point, the daily candle closed bullishly with no signs of retracing or stalling. Once again we consult our HTF outlook on the market. 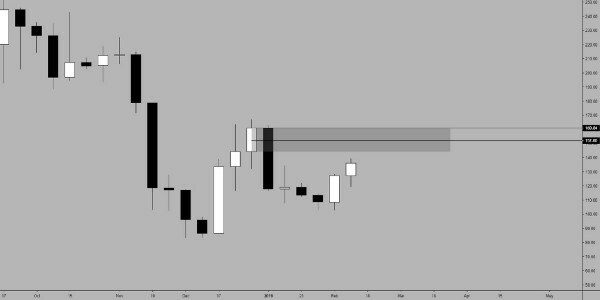 Until the weekly does not close above this major weekly resistance level until then it remains resistance. It is advised to take profit at these major levels and move your stop up below the very recent intraday consolidation. This way you’re not giving anything back to the market if it decides to reverse as we will see later on. 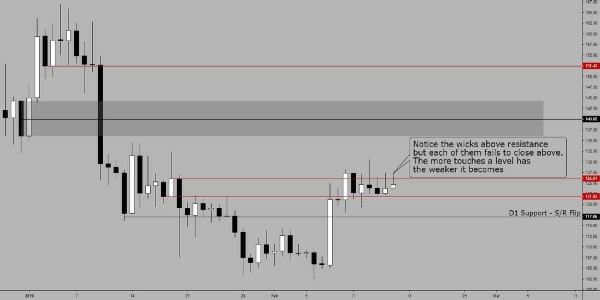 It is clearly evident on the weekly TF price is moving towards a significant bearish structure where it has been already violently rejected once. It’s therefore a rather smart play to be more careful at this point and not to be overly bullish. Resistance remains resistance until proven otherwise! Price hit our final target — now what ? 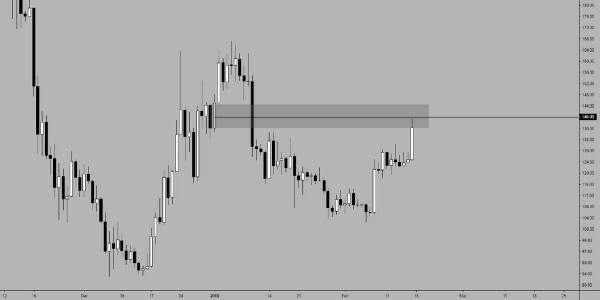 But what I discourage is adding to your position here, remember price is getting closer to a weekly resistance level. We can only observe now and aim for the next logical target area. The next level if this gets broken are the almost equal highs. 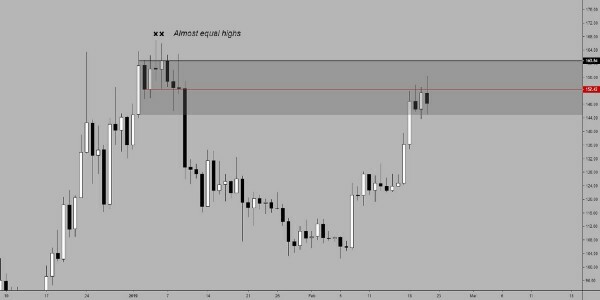 Despite price stalling at a significant daily level price shows no evidence of pulling back and consecutively testing resistance and compressing into it. It’s always important to keep an eye on where realistically your next target could be. Depending on that information you must calculate your Risk/Reward. 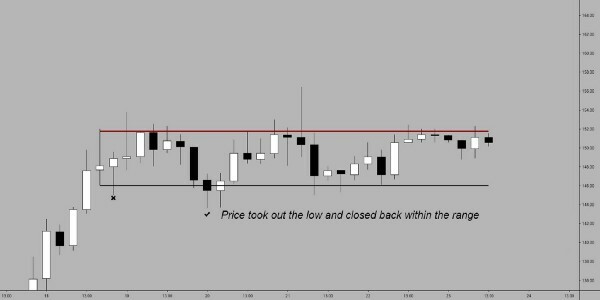 If you decided to buy the hourly candle close above resistance and your target was the D1 resistance level the risk you have put yourself into certainly outweighed the positive aspects of this setup. 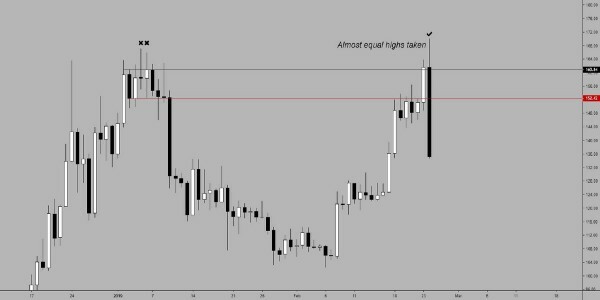 Even if your target was the equal highs — it’s a 1.1 R setup. To be fair everyone has to decide for himself whether he or she wants to take a trade with less than 1R or not. In the end it all comes down to whether you are aware of the market conditions, experience and if you are capable of managing your trade properly. Do not underestimate the power of good risk management! Be aware — the market doesn’t play nice. Thank you for your time and reading this article. Retweet and share if you enjoyed it — it’s very much appreciated. I invested in crypto in mid 2017 through the recommendation of a friend but knew nothing about TA at this time nor about market cycles. I was fortunate enough to sell in December 2017 based on a gut feeling. It was this time around when I discovered Crypto Twitter and started following all the big accounts based on their following-count. As time passed by I noticed big discrepancies between what was going on on the chart and what people were predicting. As a newbie to TA and without a mentor I was forced but I’d rather say I motivated myself to learn technical analysis. I tested dozens of different indicators and strategies until I discovered price action trading for myself as my go-to tool for trading. It was a long and painful journey and I try to educate myself on that matter almost everyday ever since. I also noticed that alot of big accounts on CT pretty much have no idea about technical analysis and somehow I can’t shake the feeling that the information they provide misleads people. The longer I’m in this game the more I see people on CT being scammed, misled or they are just given false hope. As the days go by I learn and try to share the information I acquire and maybe it helps someone not committing the same mistakes I did when I knew nothing about this space and TA.